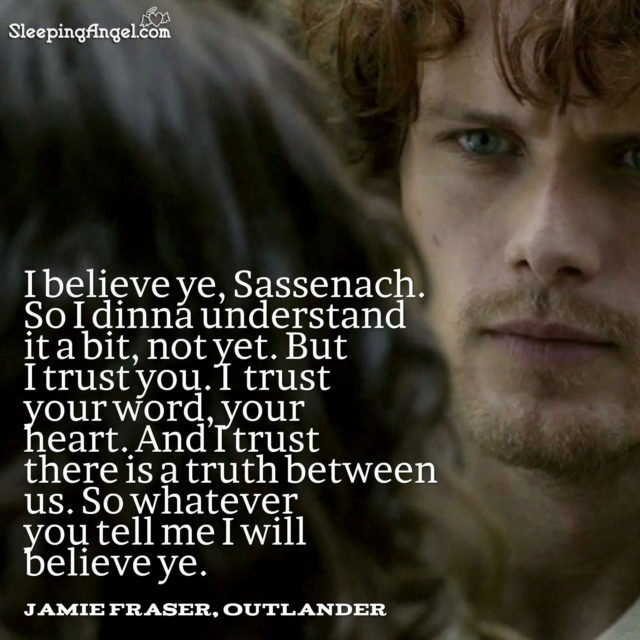 I believe ye, Sassenach. So I dinna understand it a bit, not yet. But I trust you. 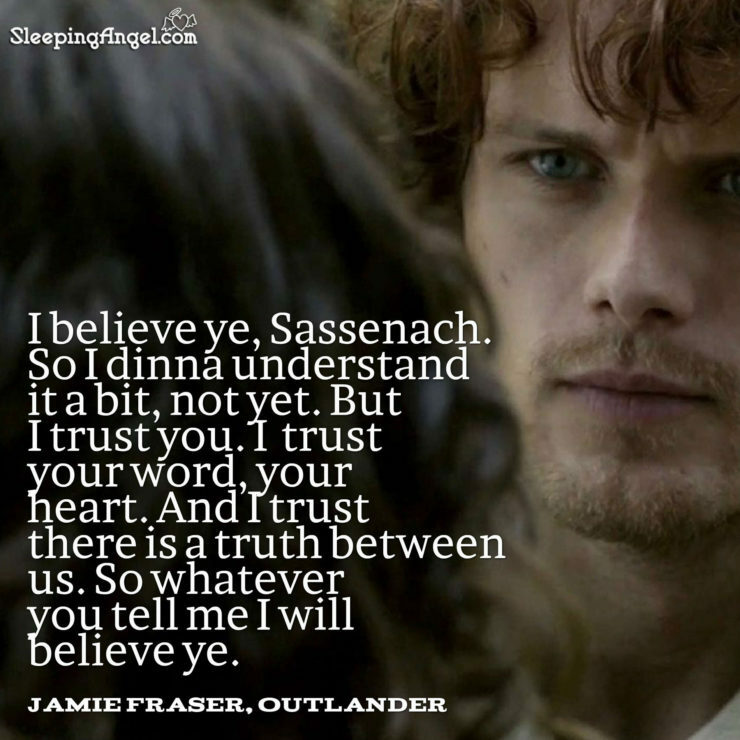 I trust your word, your heart. And I trust there is a truth between us. So whatever you tell me I will believe ye.